The form is a tricky beast. I have stood on my soap box as it were and dictated to you about how there are different ways to use forms. Different ways to abuse forms and a very complicated personal relationship I have with certain forms. There are 101 forms and if anyone tells you otherwise they aren’t living in this century. With that said, feel free to create your own form! That’s what happened here with my first (second, third) version of the spider poem. This poem, though edited previoudly, needed some serious editing and a whole lot of pazzaz. My preliminary questions here seem to answer themselves. If they did work, I night not have noticed the rhyme dropping out so quickly. What I did in stead was a sort of internal rhyming structure that mantained relevance without knocking the whole thing over with a structure. That is the main idea here, don’t let the structure bind the poem… like a spider web. Too many puns? Well anyway, if you plan to make a form of your own, keep in mind the idea that there may be some higher reason to create a pattern… like breaking that pattern. The point of a clever form is to enrich the poem as a whole byadding an additional dimension… or to lull the reader into comfort before taking that away. In a simple way, the sonnet is three quatrains before a couplet. No one is shocked. Those two forms gel nicely. Similarly the sestina is six sestets with a triplet ending. Same idea. In this example of mine there are hanging quintets until the second to last. It was intended to grab the attention of the reader, though I was unsure if that worked. The pattern must always always always be clear as a pattern. Without that there would be no point. There must be nothing that could look like an accident or carelessness. 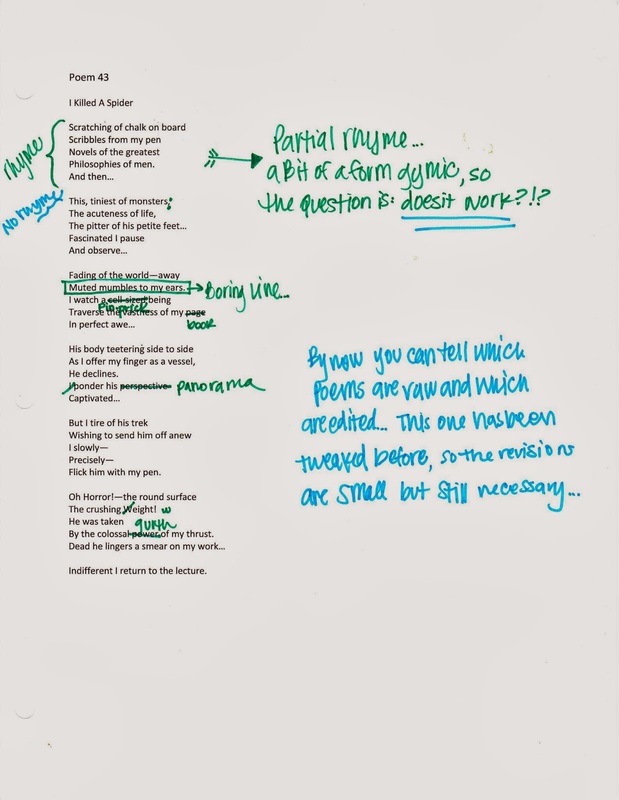 A poem must be deliberate, just as a makeshift, or pop-up, form must be deliberate and informative. There are good times and bad times to make your own form. Fortunately we are writing in the 21at century and anything goes. With that in mind, remember to use repetition of pattern deliberately. By commanding the space and adding a suprise change a poem can capture attention verbally and visually.